We’re highlighting machine appliqué this month as part of our 125 Years Anniversary of the BERNINA brand! You can learn all about appliqué, different techniques, and tips to make your appliqué a success in our Appliqué Tips and Techniques post. In this post we’re sharing all kinds of fun appliqué projects you can make for all seasons! This simple needle book made with appliqué shapes is so handy for organizing hand sewing supplies or keeping your sewing machine needles in order! 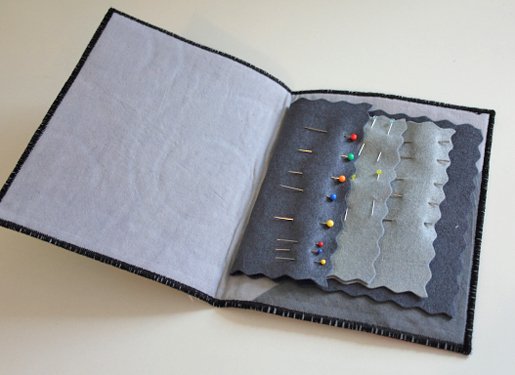 Use circles as suggested or create your own cut shapes to embellish your needle book. 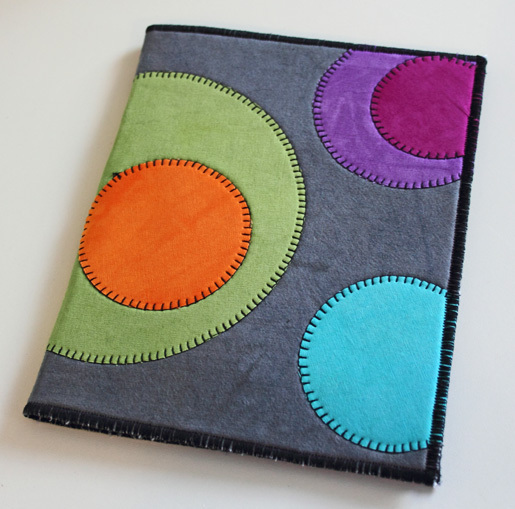 Learn how with the How to Make a Wool Appliqué Needle Book tutorial. This sweet apron includes a little forest of happy appliqué trees. Get the free printable template and tutorial at the Charming Pocket Apron project post. Take a plain, boring garment from your wardrobe (like a shirt, skirt, or dress) and give it a fun new look by adding a bit of appliqué! 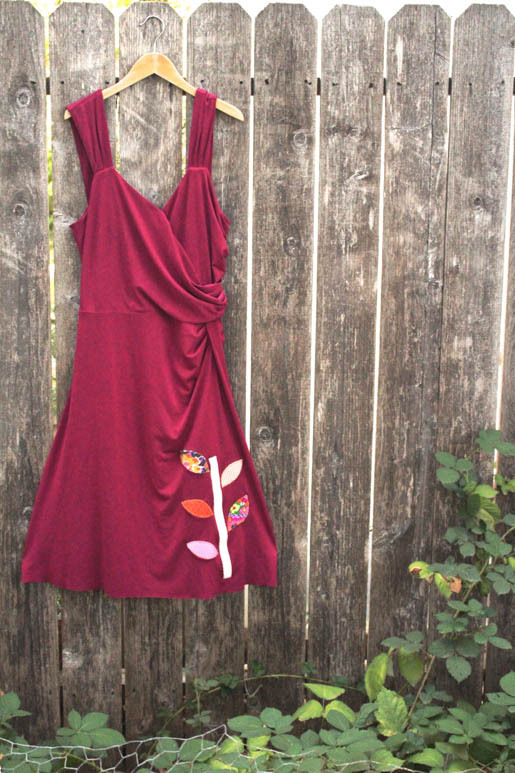 Find out How to Add Appliqué Shapes to an existing garment in this tutorial. Turn a simple t-shirt into something special by adding lace appliqué shapes. You can purchase pre-made lace shapes or create your own with machine embroidery. 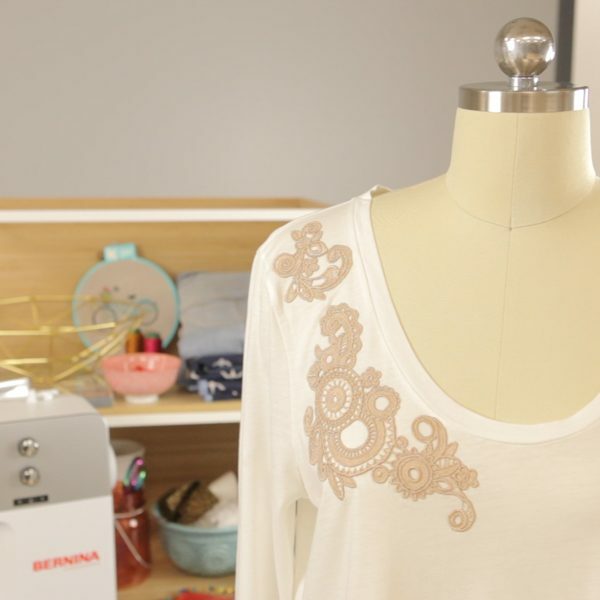 Learn how to make a Lace Appliqué T-shirt in this tutorial. 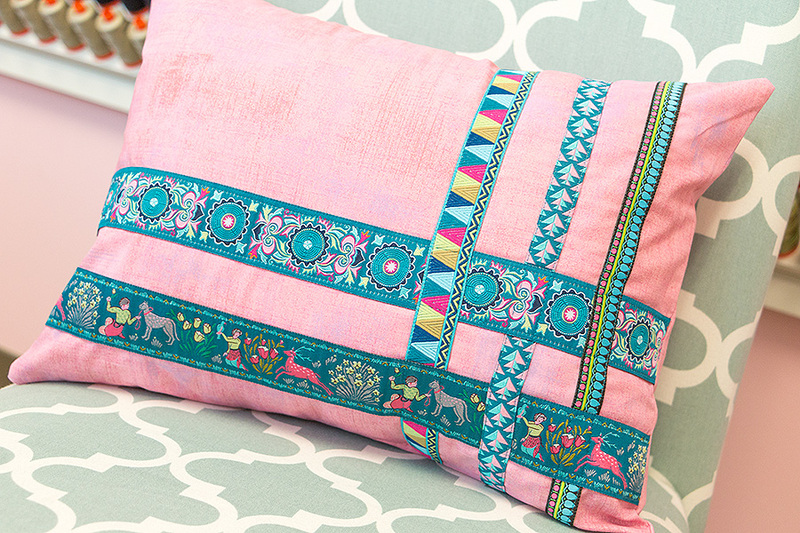 You can cut elements from beautifully printed fabrics to use as appliqué elements! Check out how to use this technique to create a beautiful spring mini-quilt with the Spring Collage Quilt tutorial. Make a throw pillow decorated with appliqué ribbons in bright spring colors! The ribbons are woven to add a fun twist. Find out how to use this technique visit the Woven with Love Pillow tutorial. 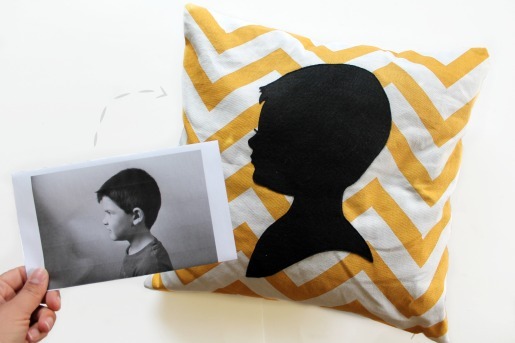 Make a beautiful memory for Mother’s Day using the Appliqué Portrait Pillow tutorial. 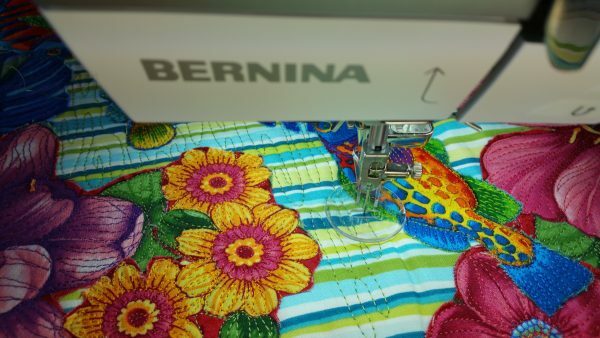 You can also use this technique to create quilt squares (think of multiple children or grandchildren together in one quilt), a small quilted wall hanging, or a smaller quilted throw. 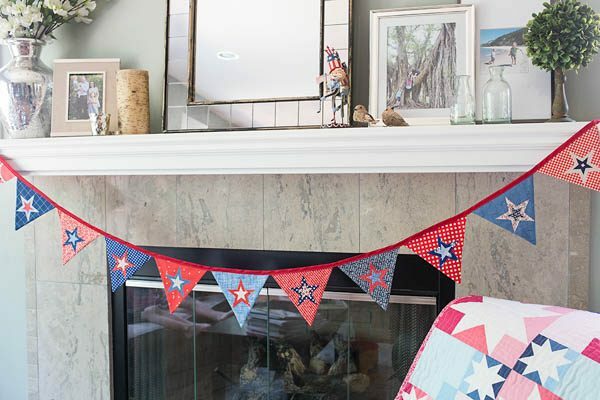 Get ready for summer with this simple to make decorative bunting inside or outside your home. 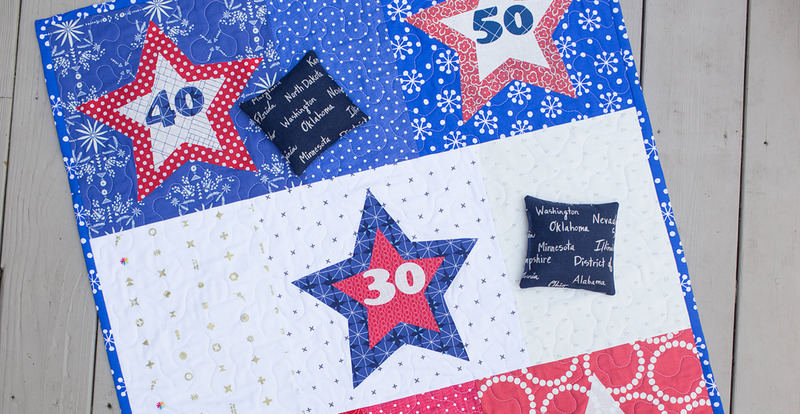 Learn How to Sew a 4th of July Bunting in this tutorial with free downloadable appliqué templates. 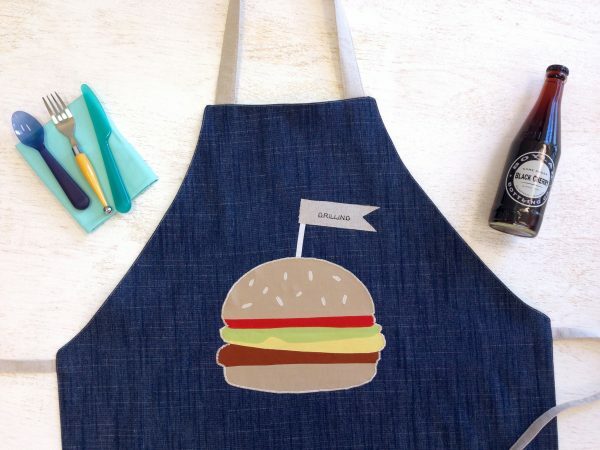 Fire up the grill and get ready for perfectly cooked burgers with this fun apron. The Apron Tutorial includes free printable templates to create this juicy burger appliqué and instructions for sewing the apron. While you’re enjoying backyard burgers play some of bean bag toss with this simple to sew game. Use red, white, and blue, or substitute your favorite team colors! Get the template s and tutorial to make a Star Bean Bag Toss game with this tutorial. Here comes the school bus! Get ready for the first day of school by adding a playful yellow school bus appliqué to an existing top. 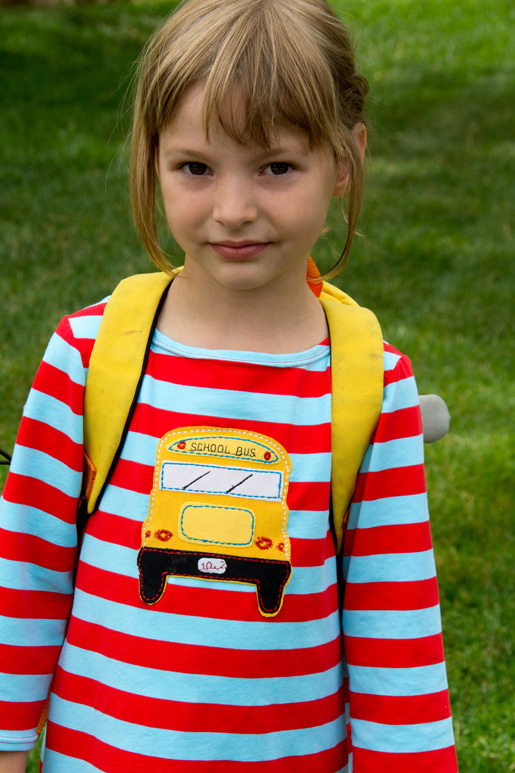 Learn How to Make a School Bus Tee Appliqué with this tutorial. Bring beautiful fall colors to your table with this runner featuring different shaped leaf appliqué. 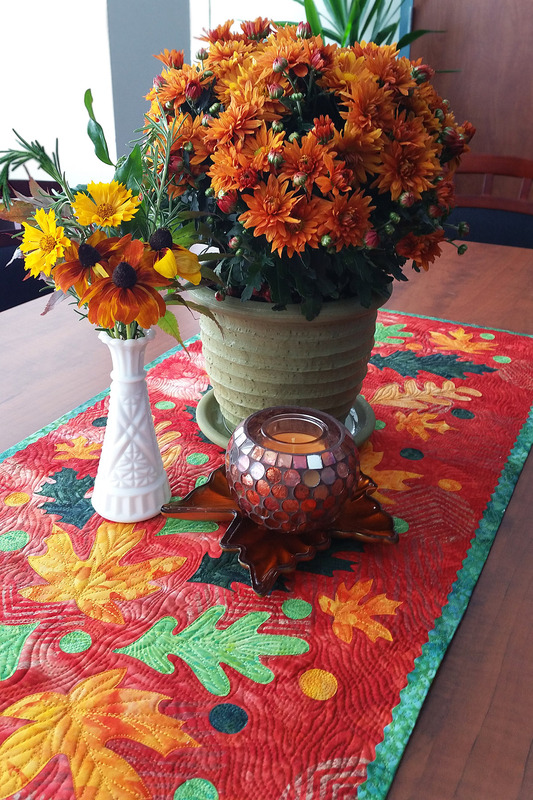 Take a stroll and pick up some leaves to trace the shapes, or use the downloadable templates with the Fall Leaves Table Runner tutorial. Make a whole set of these spirited sugar skulls to celebrate Dia de los Muertos, or bring a bit of Halloween flair to your table. 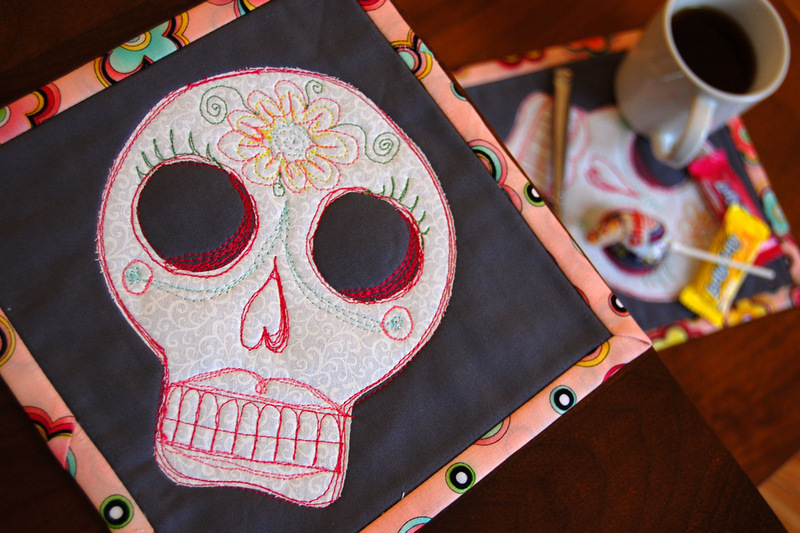 Download the free template and get the tutorial to make a Sugar Skull Mug Rug. Bring a bit of winter to your house with this pillow cover, the perfect way to enjoy the season from the warmth of your home. 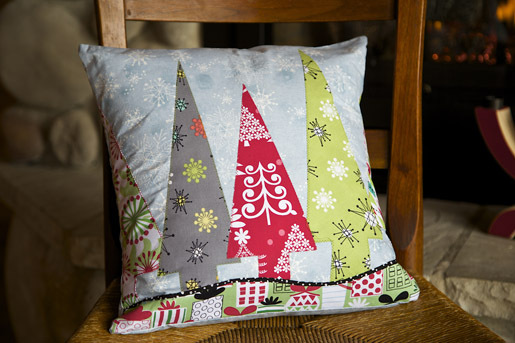 Get the full tutorial with the DIY Holiday Tree Pillow post. The Vintage Ornaments Quilt is full of fun appliqué ornament shapes reminiscent of the Shiny Brite globes that decorated Grandma’s tree. If a quilt is too much for you to tackle, try using these appliqué ornaments to decorate pillows! 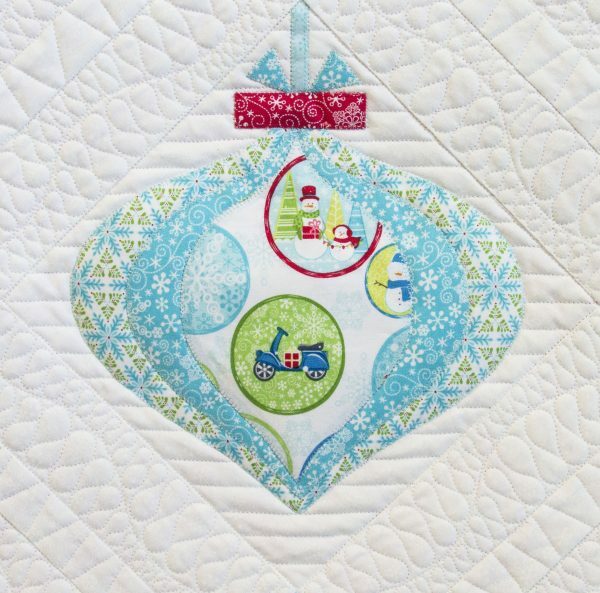 Visit the Vintage Ornaments Quilt-along to find instructions to make 8 different blocks and put them together in one holiday quilt. This festive table runner is full of heart! Learn how to create the Be My Valentine Table Runner with free printable templates in this tutorial. I just love my adaptation of th eVintage Ornaments wallhanging. I finally put it away this past weekend, I didn’t want to stop looking at it. I love to create appliqués on baby onesies, bath towels, and blankets for my grandchildren!